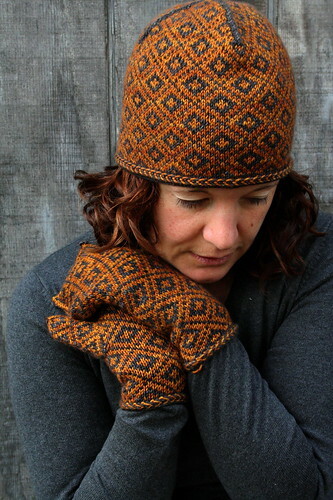 I don’t know about you, but this time of year makes me only want to knit hats and mittens. I have four sweaters, all nearly completed, stewing in my progress basket for now, having been utterly and completely abandoned for hats and mittens. Looking back through my archive, it appears I write this same thing year after year. Now that my mind has been thoroughly overrun with medical facts, jargon, and clinical vignettes, perhaps this year’s accessory fever post will read somewhat differently. The patient, a knitter of 11 years, presents today with a chief complaint of knitted accessory fever of four weeks’ duration. Physical exam is significant for a high grade fever related to stashbusting hats and mittens, general malaise regarding non-accessory knits, and deep somnolence with respect to hand knitted sweaters. The patient reports experiencing similar episodes annually beginning in mid-November, lasting approximately nine weeks, and breaking by late January. Symptoms are exacerbated by Ravelry, pinterest, and Twitter; ameliorated by complete disconnection from the internet. Patient experiences grave lack of focus, and is unable to concentrate on work. She denies fatigue, reports boundless energy, dreams of wool, and urgent desire to knit all the things. 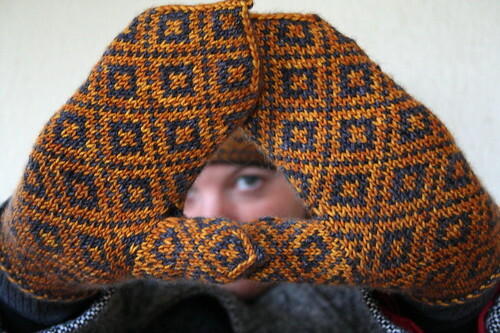 While I come to terms with my mitten frenzy, have a look at my newest accessory designs, the Moody House set. 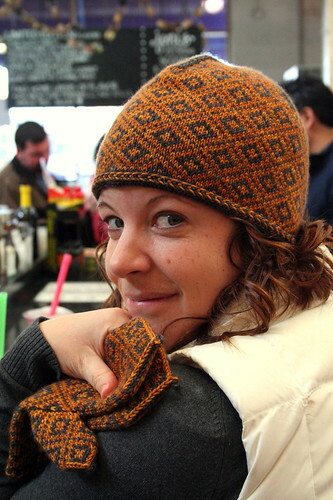 Knitted in The Plucky Knitter’s Primo! 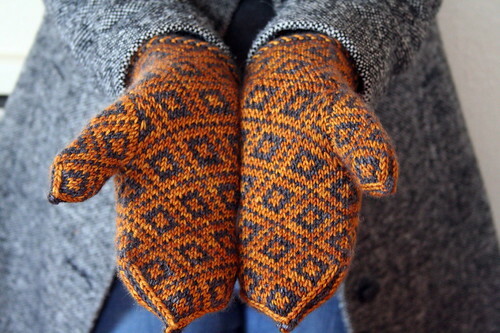 Worsted, these are a dream to both knit and wear. Sarah’s dyes are stunning, both in depth and saturation. I cannot wait to plan some more projects with her yarns! 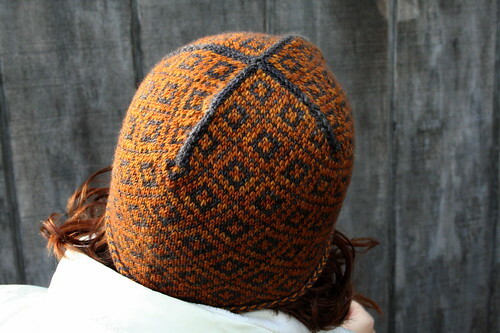 The Moody House hat and mitten patterns are each available on Ravelry for $6.00, the set containing both patterns is available for $9.00. Until this fever breaks, stay tuned for more obsessively knitted winter accessories!